We have been engaged in full time Christian service for the Lord since January 2015. 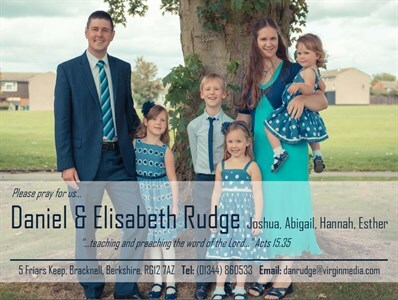 Our principal work is teaching and preaching the Word of God in local churches throughout the UK. As trained teachers we also have the privilege of teaching Bible stories and verses in a number of local schools. Additional work includes: tracting, writing for magazines, distributing Christian literature, door to door knocking and food distribution.